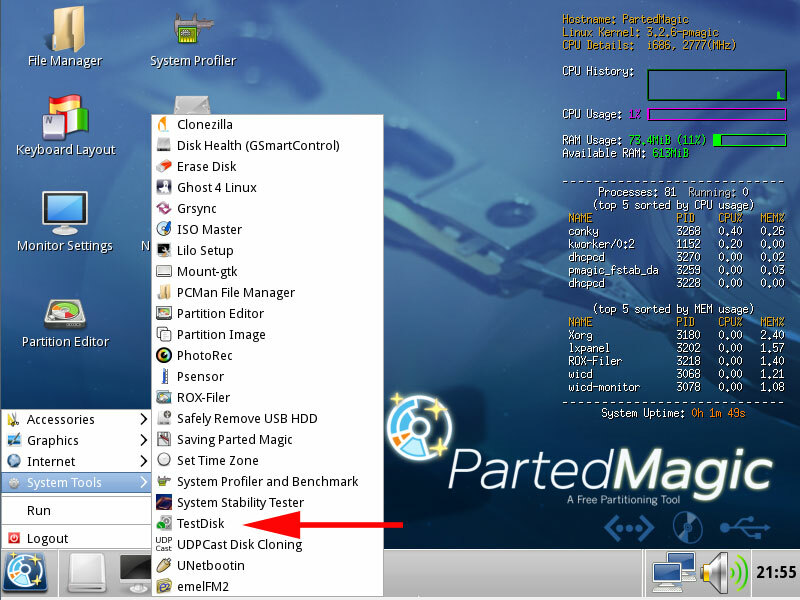 This post is not about partitions disappearing due to damage or corruption of the file system. That kind of recovery will be covered later in this series. Here we will discuss solutions for recovering from accidental removal of a partition. 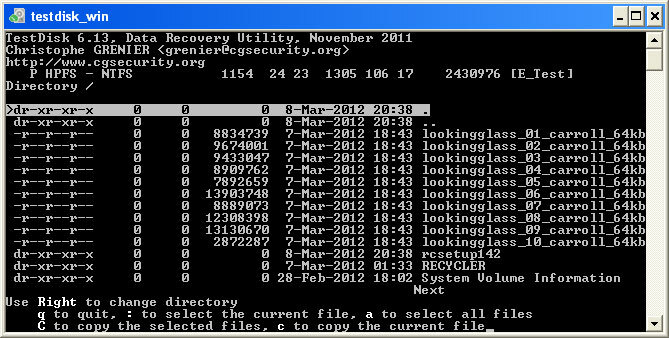 From personal experience, there are three ways that I have seen partitions accidentally deleted. 1. While trying to use partition changing software. 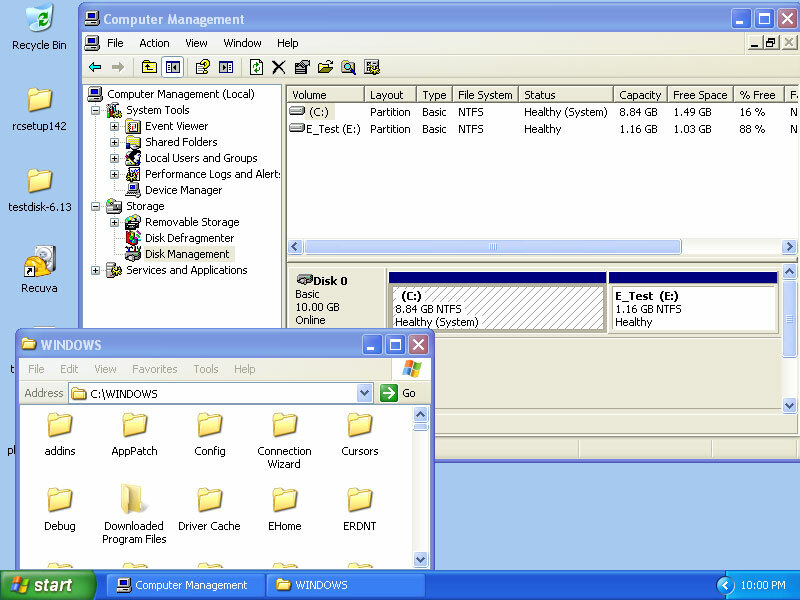 Usually while changing the size of an existing partition or adding a new one. 2. 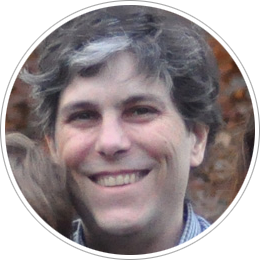 When adding an operating system to make a multiboot computer. 3. When re-installing an operating system on a drive with multiple partitions. I’m sure that there are other ways that it happens too. Computers are always full of new surprises when it comes to breaking them. 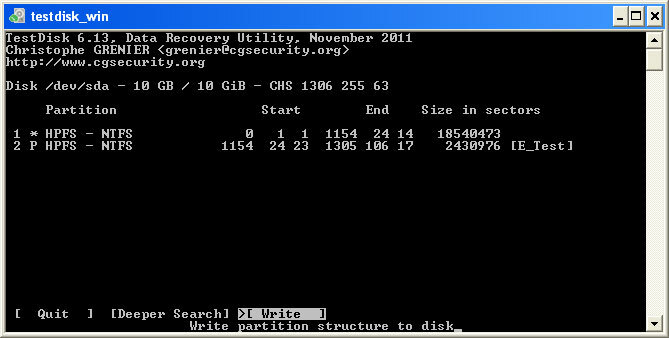 Let’s delete the E: drive partition. It has some files and folders on it. 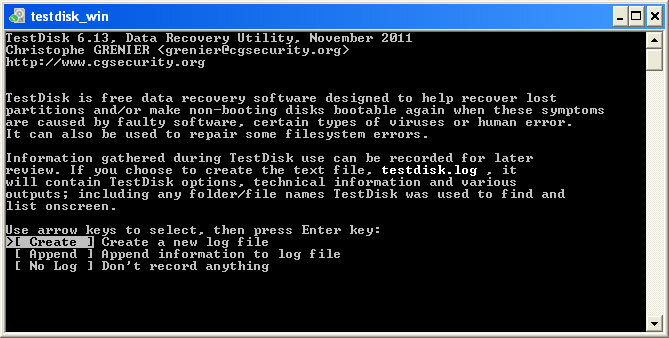 TestDisk does an excellent job of recovering deleted partitions. Always create a log unless you are running from a read only location like a Live Boot CD. 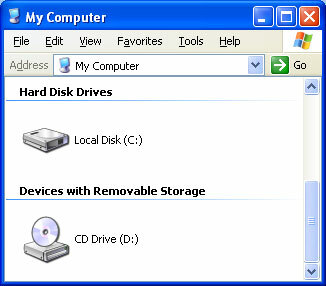 Choose the Drive that the partition was deleted from. Let’s select P to see if our files are there. 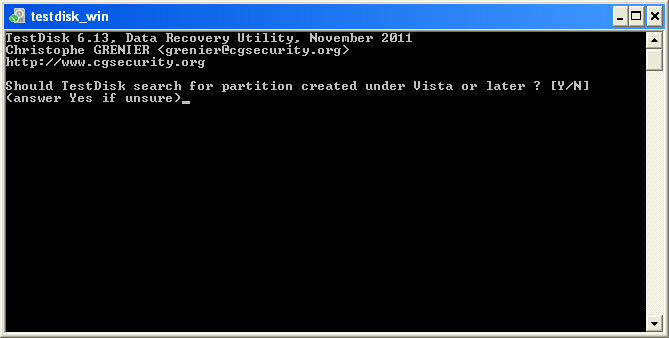 Looks great, let’s recover it press ‘q’ then press enter and select ‘write’ to write the partition’s location to the partition table of our MBR. It will write the new partition table and tell you to reboot so quit out of TestDisk and reboot. Oops, I accidentally deleted the C: drive partition using a third party partition manager. Boot to the Parted Magic CD on your broken computer. Choose ‘Default Settings’ to Run from RAM. Proceed as in the previous example and find the missing partition. There it is! 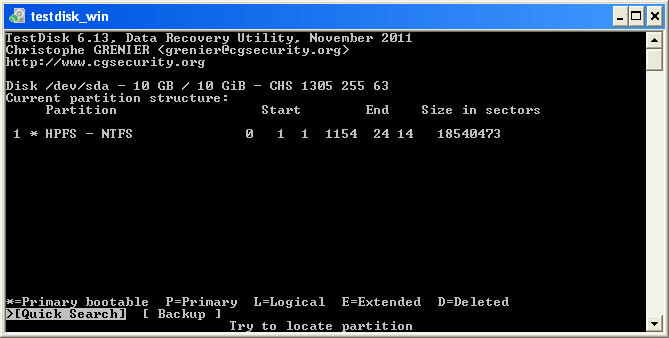 Recover C: partition like we did for E: above. thank you so so so so much!!! Bless you! God has worked through you!